All non-road diesel engines are now regulated by the EPA’s final Tier 4 requirements. Introduced in 2004, Tier 4 regulations aim to reduce harmful pollutants. Every industry from manufacturing to oil and gas to agriculture must now merge new Tier 4 technology with existing specifications and processes. CK Power distributes and manufactures lines of Tier 4 certified engines to fit any application, while abiding by cost and space constraints. We work with all industries to customize engine solutions that are not only compliant, but also integrate seamlessly with existing operations. Once a customer’s specific needs are identified, we will determine the most cost-effective solution for the application. 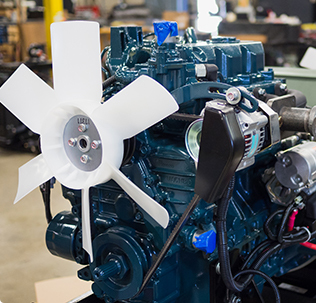 Our engineers will tailor an existing engine to the customer’s size, cost and power specifications, or custom-build an engine to perfectly match their needs. This level of customization allows oil and gas refineries, industrial farms and utilities companies to implement Tier 4 compliant solutions without sacrificing current operations. In addition to supplying innovative and compliant power solutions for all industries, CK Power also offers custom metal fabrication for OEMs to use in their end pieces of equipment. With quick turnarounds and state-of-the-art stamping, cutting and welding equipment, we are able to supply our customers with custom sheet metal and fabrication components on demand. Plus, our stocking program allows customers to re-order custom products as needed. 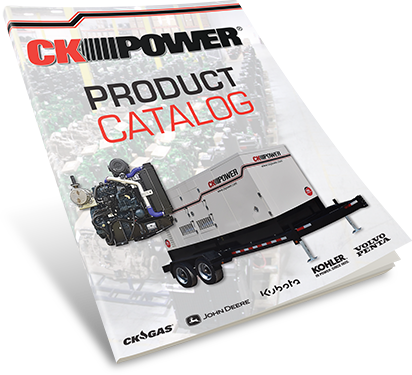 CK Power is the one-stop-shop for everything from Tier 4-certified engines to custom-fabricated metal components. Regardless of your needs, we’re committed to providing the right engine for the right application. To learn more about how we can customize a compliant solution for you, request a Tier 4 consultation. For a list of all our final Tier 4 qualified products, read our tier 4 product catalog. Or to learn more about what to think about when purchasing an engine, download our guide to Tier 4 engine considerations.